The UN-backed Yugoslav war crimes tribunal has tried hard to protect witnesses and has prosecuted several people for intimidation, but its latest attempt has provoked a bitter dispute with Serbia. This article is the second in a five-part Justice Hub series investigating the phenomenon of witness interference in Hague-based international courts, a problem which has plagued the global justice system. “Serbia’s continued non-compliance with its obligations obstructs the course of justice”, according to one of the latest memos released by the International Criminal Tribunal for the Former Yugoslavia about Belgrade’s refusal to extradite three of its nationals accused of witness intimidation in the war crimes trial of Serbian Radical Party leader Vojislav Seselj. Since January of this year, when the Tribunal issued the arrest warrants for Serbian Radical Party members Petar Jojic, Jovo Ostojic and Vjerica Radeta and asked Serbia to transfer them to The Hague, the government in Belgrade and ICTY prosecutors and judges have traded accusations over the case. Serbian Prime Minister Aleksandar Vucic even sent a letter of protest to the ICTY, demanding that the UN court treat Belgrade with more respect. Jojic, Ostojic and Radeta are accused of being in contempt of court for threatening witnesses at Seselj’s trial. They are also allegations of blackmailing protected witnesses and offering them bribes of 500 euros not to testify. Belgrade and the ICTY have had a rocky relationship since the Tribunal was established by the UN in 1993 because for a long time, Serbia was a paradise for war criminals wanted by the Court.The situation improved after the last fugitive, Croatian Serb leader Goran Hadzic, was put behind bars in 2011. Since then Serbia has been praised for its cooperation, but this June, in its regular report to the UN Security Council, the ICTY accused Serbia of violating cooperation agreements and undermining justice efforts by not arresting the three wanted Radicals. “Interference with the administration of justice strikes at the heart of what, together, we have painstakingly endeavoured to build since the birth of the Tribunal and undermines the Tribunal’s ability to carry out its work efficiently and fairly,” Court President Carmel Agius told the Security Council. 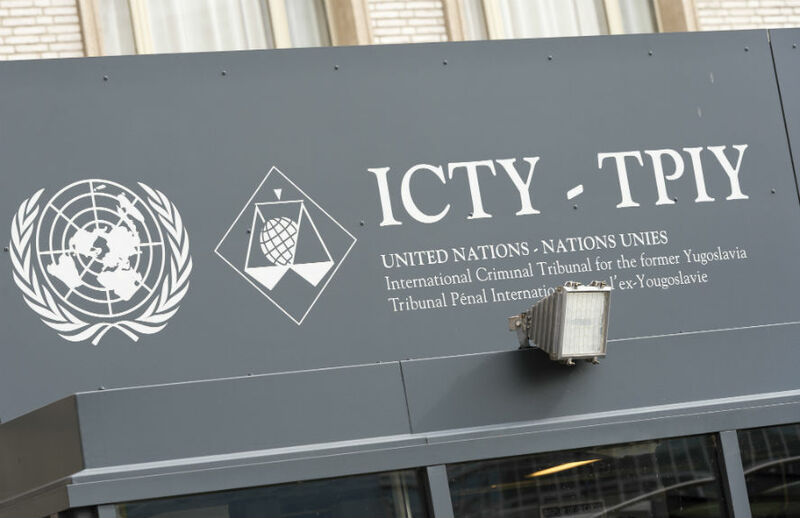 Over the course of the past 20 years, the ICTY has heard almost 5,000 witnesses, more than any war crimes tribunal in modern history, the vast majority of them invited by the Prosecutor’s office. 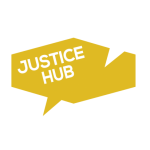 The Tribunal has a specially established unit within the Court, aimed at preventing any interference with witnesses who wanted to share their testimonies about the atrocities committed over almost a decade of violence in the former Yugoslavia. Although the practicalities of the protection system remain confidential because of their sensitivity, experts believe that the ICTY’s efforts to protect witnesses were satisfactory. According to Ivan Jovanovic, a Belgrade-based transitional justice expert and former head of the war crimes unit at the OSCE Mission to Serbia, the ICTY’s witness protection can be considered to have been successful. According to a study conducted this year by the ICTY Victims and Witnesses Section and the Castleberry Peace Institute at the University of North Texas, based on interviews with 300 witnesses, the vast majority – some 260 – indicated that testifying did not have a negative impact on their intimate relationships. However, the study found that one in seven interviewees reported having being contacted in an attempt to prevent them from testifying or threatened because of their testimony. One in eight believed that they had suffered some negative impact, such as criticism, ‘loss of association’ or being ostracised from their communities. “The criticism, loss of association and threats tend to come from the defendant and those who affiliate with him, as well as from religious and community leaders. Threats come both from people of the same or different ethnic groups. Five interviewees stated that they moved home as a result of security issues,” the study said. Around 13 per cent of the interviewees said they continue to feel some insecurity today. Another unique aspect of the ICTY’s work was that it managed to prosecute most of those who made threats to witnesses. A series of individuals were charged with witness intimidation or other instances of tampering with witnesses in a total of eight contempt of court cases before the ICTY. Those convicted were sentenced to between two and four months in prison. In eight further cases, several people have been charged with disclosing confidential information in relation to protected witnesses. Seselj himself was convicted of contempt three times while on trial for crimes against humanity in Croatia, Bosnia and Herzegovina and Serbia during the 1990s wars after revealing the names of witnesses on several occasions. The Serbian Radical Party leader’s case has been a headache for the Tribunal since he voluntarily surrendered in 2003. Seselj went on hunger strike several times, delaying the trial, and managed to remove one of the judges from the trial panel over allegations of anti-Serb bias. He was temporarily released for cancer treatment, but despite calls from the ICTY for him to be sent back to detention in The Hague, he remained in Belgrade, where he held nationalist rallies and publicly mocked the UN court. He was also the first defendant who was allowed not to be present for his verdict. He was acquitted last March, and his case is now on appeal. Meanwhile he remains in Serbia, where he was recently elected as an MP, and he has been publicly defending his three party members who are wanted by the ICTY. But it is not only Seselj who has aided the cause of Jojic, Radeta and Ostojic. In a surprise ruling, contrary to its previous decisions in similar cases, the Higher Court in Belgrade ruled last May that the three Radical Party members could not be arrested and transferred to The Hague for trial because that would not be in line with the Serbian law on cooperation with the UN-backed court. The Serbian government also flatly refused to act on the arrest warrant, citing security reasons and suggesting that detaining Seselj would cause unrest in the country. “The arrest warrant for the three people came after Seselj was temporarily released [for cancer treatment in November 2014]. It was estimated by the government that their arrest could endanger stability in the country,” said Sasa Obradovic, the Serbian government envoy for cooperation with the Hague Tribunal. According to Milica Kostic, head of the legal department at the Belgrade-based Humanitarian Law Centre, the court ruling had no legal justification and the Serbian government’s behaviour was politically motivated because the Radicals’ testimony could be uncomfortable for the Belgrade administration, and their extradition could prove highly unpopular among nationalist voters at home. Serbian Premier Aleksandar Vucic is a former member of the Serbian Radical Party, as are several members of his government. Vucic was a close Seselj ally during the war years and also acted as the nationalist politician’s legal adviser in The Hague for several years. “I think these are political calculations by the government and in this case, the government of Serbia is consciously refusing to cooperate with the Hague Tribunal. There are no real legal arguments, as it is clear that Serbia has to cooperate with The Hague as this is the body established by the Security Council on the basis of the Chapter VII of the UN Charter,” Kostic said. “That there are no legal arguments is also clear from the fact that in at least three identical cases, Serbia didn’t find any legal obstacle to extraditing its citizens to The Hague,” she added. Kostic also noted that the Belgrade Higher Court is keeping the documents on the ruling confidential despite the fact it is obliged to make them public. The ICTY confirmed meanwhile that “the Republic of Serbia has indeed cooperated with the Tribunal in the past on matters related to contempt cases, including the arrest and transfer of the accused”. It listed the examples of the contempt cases against Ljubisa Petkovic and Dragomir Pecanac, in which Serbia provided the requested cooperation, including arresting the accused and transferring them to The Hague. Petkovic was sentenced to four months in prison for contempt of court in the Seselj case, while Pecanac was sentenced to three months for contempt of court in the case against former Bosnian Serb Army intelligence chief Zdravko Tolimir. The issue of Serbia’s non-cooperation will be highlighted in the ICTY Chief Prosecutor and President’s next reports to the UN. Observers also believe that Belgrade will come under pressure from the EU on the issue, as cooperation with the Hague Tribunal is one of Brussels’ demands in Serbia’s accession talks – part of Chapter 23 of the EU legislation under discussion, which deals with the rule of law and with which Serbia has pledged to comply fully. The Serbian government’s next move remains unknown, but so far it has continued to insist that it will not extradite the three wanted Radicals. This article has been produced in partnership with Balkan Insight.